Britain, France and Germany have proposed new European Union sanctions on Iran over its missile program and its regional role, a confidential document says. The joint paper was sent to EU capitals on Friday to sound out support for such sanctions as they would need the backing of all 28 member states of the bloc, Reuters quoted two people familiar with the matter as saying. “We will therefore be circulating in the coming days a list of persons and entities that we believe should be targeted in view of their publicly demonstrated roles,” the document said. The proposal is allegedly part of an EU strategy to appease US President Donald Trump and preserve the nuclear deal, officially known as the Joint Comprehensive Plan of Action (JCPOA), signed between Iran and the 5+1 group in 2015 amid constant US threats to withdraw from it. He delivered a 120-day ultimatum to America’s European allies on January 12 that they must agree to “fix the terrible flaws of the Iran nuclear deal” or he would refuse to extend US sanctions relief on Iran and would pull out of the deal. The US under Trump has been seeking a revision of the deal and making modifications to it, such as the inclusion of Iran’s missile program in the agreement. Diplomats said the European powers and the United States held several rounds of talks this week on the issue. Iranian Foreign Minister Mohammad Javad Zarif on Friday warned the United States against the “painful mistake” of pulling out of the 2015 Iran nuclear agreement. “Considering what has been envisaged in the JCPOA in the field of research and development and the Islamic Republic of Iran’s continued measures to develop its peaceful nuclear capability, if the US makes the mistake of exiting the JCPOA, it will definitely be a painful mistake for the Americans,” Zarif told reporters upon his arrival in Tehran from the Kazakh capital of Astana. Meanwhile, the JCPOA signatories held a new round of their periodic meetings in the Austrian city of Vienna on Friday to review the deal’s implementation. 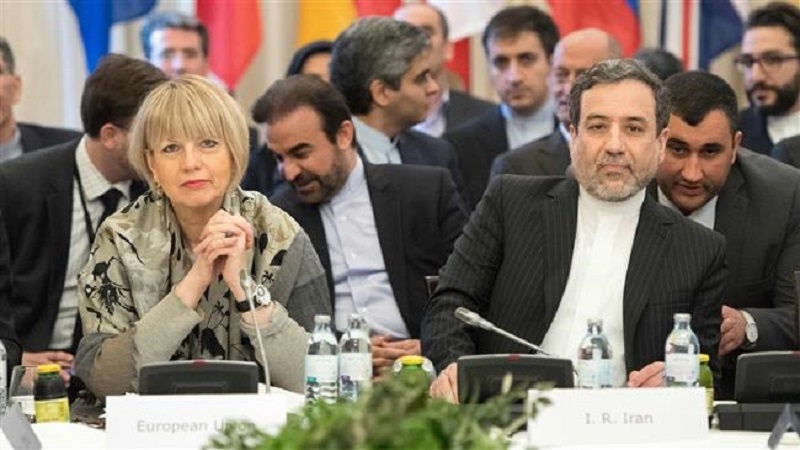 Reacting to reports about the sanctions proposal by the EU, Iranian Deputy Foreign Minister Abbas Araqchi, who was representing Iran at the Vienna talks, said any new sanctions that undermine the nuclear accord will go against the Europeans’ pledges at the commission’s meeting. He noted that any such move to appease the US will be a big mistake that will affect the very existence of the nuclear agreement. Under US pressure, certain European countries, especially France, have recently raised claims about what they alleged to be Iran’s destabilizing role in the region and also urged for a halt to the Islamic Republic’s missile program. Iran has dismissed such accusations and calls.